Truong Hung Long, director of the Department of Debt Management and External Finance under the Ministry of Finance, said that public debt has been kept within the threshold and is projected to account for 61.4% of the country’s gross domestic product (GDP) this year, lower than the target of 65% and 63.7% in 2016. The Government debt-to-GDP ratio is forecast to reach 52.1%, below the limit of 54%. During the 2016-2018 period, the Government has attempted to gradually increase locally mobilized capital and reduce dependence on foreign loans, Long noted, adding that the capital raised from local sources during the period meets some 76% of the Government’s needs. At the end of this year, the Government's domestic debt may comprise 60% and its foreign debt, 40%. The corresponding rates were 45% and 55% in 2015. Long confirmed that capital use and public debt payment are supervised by the National Assembly (NA); the State Audit; and inspection teams from ministries, agencies and localities. Despite seeing some positive results, the Government should continue to closely manage public debt in the coming period due to the tight State budget and the high demand for capital for investment projects, Long said. In addition, the interest rate for foreign loans is on the rise as Vietnam has become a middle-income nation. In addition, the growth rates of Government debts and Government-guaranteed debts have dropped. 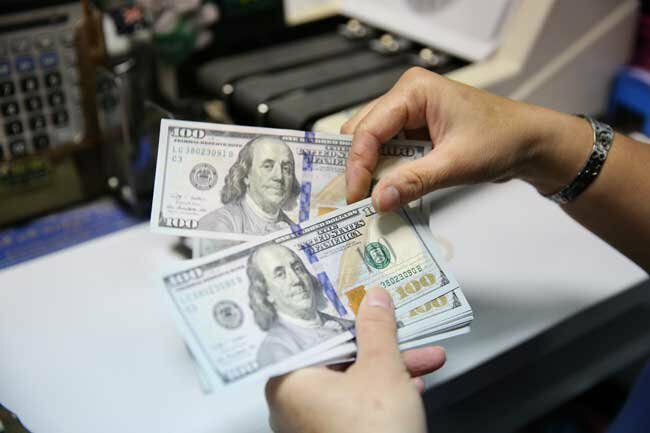 However, according to the State Bank of Vietnam, the foreign debts of domestic enterprises have surged since last year, sending the country’s foreign debt soaring, nearly reaching the threshold set by the NA. Although enterprises’ foreign loans are not included in the country’s public debt, they are part of the country’s foreign debt, affecting the the nation’s macroeconomy and financial security, stated Long. Under the direction of the Government, the central bank has coordinated with the Ministry of Finance to work out solutions to control domestic firms’ foreign loans.